Makingmoney with your blog is not easy and a fundamental thing for making money on your blog is readers or eyeballs to your blogs. 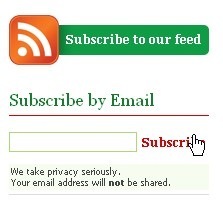 Rss subscriptions , feed readers ,email subscriptions can certainly portray the value of your blog and its worth. Look at any successful blogger and he is sure to have a good rss feed subscriber count or email count or then most importantly a very high user count for his blog. Many bloggers new to the scene fake the user counts or then subscribers just to increase thier value of thier blog , but most of the time these sort of tactics don’t work in the long run. Recently by accident i realized how my subscriber count to one of my blogs started getting hit with user registrations like it was on powerade or red bull or something. 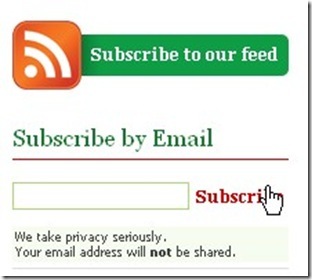 This blog started to get user registrations via the word press user registration button. All that it took to get my user registrations count from like 3 in a week to atleast average 5 to 10 in day regularly past the last 4 weeks now. Now i know that this is not massive numbers but considering the not so massive hits that this blog gets its a very good conversion rate. Besides , what i am trying to focus on here is “ How you can increase your blog subscribers” . I am sure if you have a bigger blog with bigger number of hits the ratio will do your blog some good and come out with a nice registration ratio. After analyzing the page i realized it could be only one thing “the post that i had posted as a featured post on the page”. I have not removed the featured post from the blog for the past 3 weeks due to my user subscriber count increasing. The post is an article on the worlds fastest car debuting on the Indian market and the post is in a Indian stock market / Business blog ( blog not disclosed due to obvious reasons). The post contained high resolution photos of the bugatti veyron and gave a good article on the car as well as a very brief message to traders in the market. Well the subscriber count has just been pouring in since then. As the content of the post regarding stock market was minimal and the photos was the attraction of the post ,i would assume the registration user count for the blog increased because of these photos , as nothing else has changed in the blog. The subscribe to button is placed right next to the first glossy photo ( on the left of it ) for people to subscribe to the blog by email. This certainly goes to prove that people can certainly be attracted to register as a user to a blog just based on good visuals and nice placement of pics on the blog targeting the right audience with the right pics. 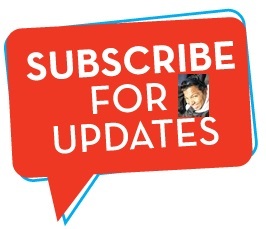 Image of the new subscribers that have been pouring into my email account since the change in the blog post. Now also to keep in mind that the users that would frequent this blog would mostly be stock traders or then people in the finance industry who are either quite well off or then have some nice spending money and when you have a million dollar pics of the worlds fastest car , they sure can be tempted to hit the subscribe button just to get informed of more nice eye candy like this just in case the blog has more similar stuff being posted soon. Hope you learned something from this and have a go at increasing your subscriber count. Would appreciate any feedback from experiences you have had doing this. Good luck ! !